6 months on from winning the Export Action Plan Competition, we talk to four three six about where they are now with their export plans. At an inspiring Tech meets Creative showcase final for at Tech UK offices in London, Andy McAlister – the founder of the wearable tech manufacturer meets underground electronic music label company – wowed the judges with the sheer creativity and innovation of his products. Taking some of the product range to Japan was a big next step in their development. 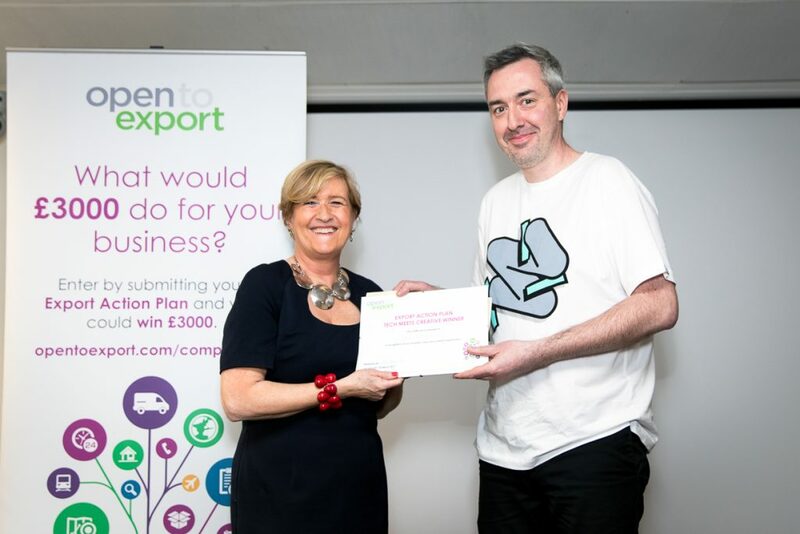 Where is your company now with your export plans in relation to when you first entered the competition? We’re miles ahead from where we were with clear export plans in place and meetings coming up over the next few months with some Japanese retailers and music promoters. In Q4 I have a couple of Japanese students from Nottingham Uni helping me with translation and communications as part of their placement. Their core goal will be to promote our new collection to the Japanese market via social media and press, so from October we’ll be on full on export mode! Completing the plan really focused my thinking on export and allowed me an excuse to go super deep on the research front, now I know exactly what stores, in what locations, we need to work with and how this is going to happen. How did winning the competition help? The cash prize allowed us to tailor the new collection to the Japanese market in terms of sizing, and also to up the (already high) quality of our t-shirt offering in terms of design and fabric to meet the high standard and focus on attention to detail that the market demands. In terms of confidence the prize is priceless, it’s really pushed me to up my game with the knowledge that the experts on the panel believed in my vision enough to grant me the prize. Heathrow in particular have been great following the competition and we’re working together on a pop-up store at the airport in October. Our new collection entitled 436 Communications, launches at Heathrow in October, where we will have a pop up featuring a street artist painting live. Following that we have another pop-up at the Christmas Steps in Bristol on the last week in November, where we’ll be doing a range of activities from workshops, to DJ sets, to Panel Discussions with a digital art installation on display as well. Although this collection is still in the factory we’re already looking to our next collection, and at some point next year I’d like us to launch a magazine celebrating underground culture.